TESTIMONIAL: "First and foremost I would like to apologise, for completely forgetting to pay you last Wednesday, I was as high as a kite what with just passing my test. I would also like to say thanks for your tutoring and support over the past year; I doubt I would have successfully passed my test without your teaching skills." 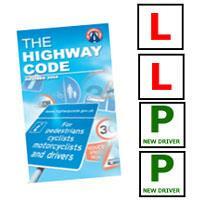 Congratulations if you have made your choice to learn to drive with Progress Driver Training. When you require top quality driving lessons at a time to suit you, give Progress Driver Training a call! We have fully qualified DSA driving instructors ready to help you to pass all your driving tests. Your driving instructor is very experienced in teaching driving to many different types of people and will schedule a course of lessons that will meet your needs. 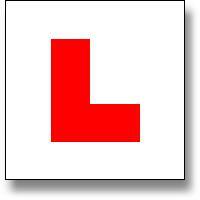 Driving lessons are available in all areas served by the driving test centres at Greenock and Saltcoats. Your driving instructor can provide your lessons right up to 10pm during weekdays. If you are looking for a driving school that has a “fairness to all policy” then you have found it, with no special rates for students or the unemployed, no hiking of fees for evening and weekend lessons, no matter what, everyone pays the same simple fair low rate of just Â£19.75 for every hour of driving lessons that is taken. As a loyalty bonus, we offer block bookings of 10 hours for only Â£185.00, plus when you introduce a friend (terms and conditions apply) to Progress Driver Training we will give you one free hour driving lesson, just to say thank you. You can now have your driving lessons in Essex and take your driving test at Goodmayes, Barking, Hornchurch, Loughton, Wanstead and Chingford Driving Test Centres. Contact us for more details or to book now! How many lessons you need will vary for each person, safe driving is a skill for life and a good instructor will match your lessons to your rate of learning. If you need to cancel lessons please do it at least 24 hours before the booking time, otherwise you will have to pay a cancellation penalty. Please note that if you send a lesson booking request via the website it will not be considered booked until we confirm it by calling you back. Please remember to leave your name and contact telephone number if you leave us a message on the voice mail. IMPORTANT: If you are a new pupil you will be asked to show us your Provisional Driving Licence when you have your first lesson, so remember to bring both parts of your Provisional Driving Licence to your first lesson - you are required to show your signed Provisional Driving Licence to your instructor before you start to drive for insurance purposes. Do you guarantee that I will pass the driving test? No. No-one can, however we can guarantee that you will receive all the tuition required to bring you up to the standards needed in order to pass the driving test, the test itself is up to you. If you drive to the standards that we will teach you, then you should have no trouble passing the driving test. If you need any more help or advice about Driving Courses drop us an email or telephone us on the number at the top of the page.